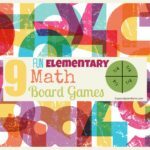 As I think through all of the fabulous materials and works we use to teach our children using the Montessori method, one of our favorites has always been the maps. Maybe because I love puzzles myself or because it is a really concrete way to see where we are in the world, I personally have always loved these works. We do spend a lot of time teaching about the continents, but only just recently have I started seeing puzzles that don’t focus on the continent and only focus on the oceans. And these are not available in the US yet or they are really expensive. So I thought I would share how we taught this concept …. Almost Montessori World Oceans. This World Map is not a traditional Montessori work, but has the same concepts as the foundation. We use tactile works to teach abstract concepts. This is a large fabric world map (56″x 33″) with reinforced grommets for hanging (we used it on the floor and hung it after we were finished with it), with labels. 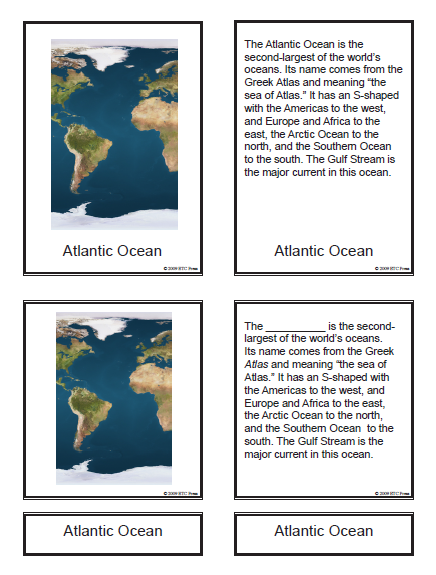 We used this in conjunction with the free study from Montessori Etc of the World Oceans using three-part cards. Most of the time, world oceans are presented in conjunction with the study of Continents of the world. Below are various manuals and how they introduce this topic. If you are enjoying this post and want to see more, please sign up for our newsletter, join us on Facebook and Google+, follow us on Twitter and Pinterest or sign up on the right to follow our blog. Here is a great article on the scope and sequence of geography by Montessori Primary Guide. 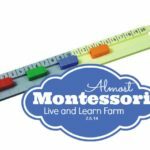 It shows when to present what pieces, if you are following the traditional Montessori curriculum! 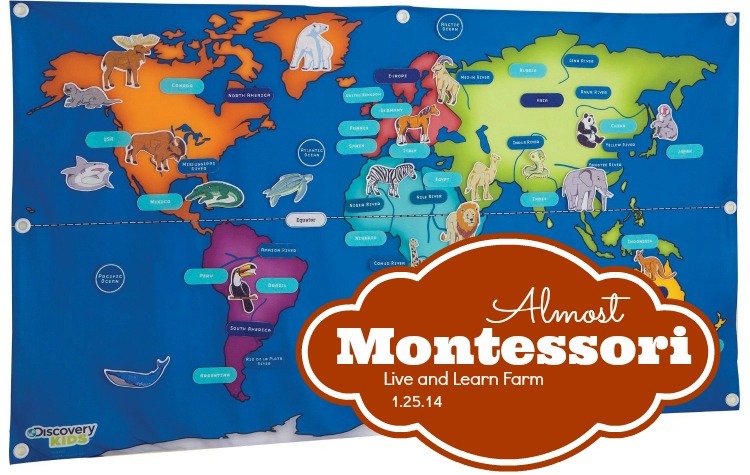 Here is Montessori Research and Development’s lesson the Continent Globe. They are using the Continent Globe to introduce the continents and world oceans. Here is North American Montessori Center (NAMC)’s manual lesson section on Oceans. Here is another Montessori Album that provides a free lesson on World Oceans. They are using World Map puzzles for this lesson. I stumbled upon a fantastic strike the imagination work by Mama Papa Bubba Site. It is Frozen Ocean Animal Rescue. If my boys were younger, we would be doing this one for sure to strike their imagination. I would probably wait until spring/summer to do it!! For older students, here is a presentation by a Montessori Middle school teacher, Victor Young. He presented Building an Ocean Legacy Through Ocean Literacy, at the International Montessori Conference in August 2013. You can see his slides and here his presentation here. Books that would be great to help strike your children’s imagination about the Ocean. 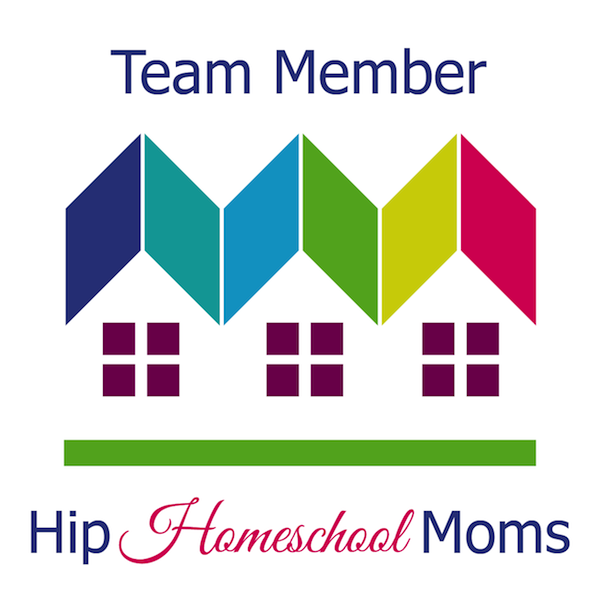 I hope this presentation was a blessing to you and your homeschool!